If you value feeling and authenticity above elaborate song structures and instrumental panache, LUX may be an act you should keep on your radar from now on. When you think about France – and the French music scene in particular – Blues, Country and Folk might not be the first genres that come to mind. However, the very essence of Americana with a modern twist is what apparently inspired Sylvain Laforge, the Paris-based guitar player. Having accompanied the likes of French singer Catherine Ringer before, he has now joined forces with the American singer Angela Randall to form LUX with 'Super 8' being the duo's first album. 'Super 8' has a late nineties/early noughties vibe to it, each song harkening back to the era when the Alternative Rock scene thrived in all its varieties. At certain points, it might even be mistaken for the likes of The Cranberries or The Cardigans if it wasn't for that Country-ish, slightly bluesy twang given off by Laforge's guitar. The sound on the album is kept deliberately simple, the instrumental parts being far from virtuosity, but still expressive enough to draw the attention of guitar lovers ('Rough Translation', 'Island' or the slightly more up-tempo 'While Waiting'). Effective as they are in providing a solid background for the emotionally-laden vocal expressions of Randall ('Damaged', 'Hijack') and occasionally Laforge ('Liquid And Fire'), they push the vocals and the lyrics up to the front, making it an essence of the album. Certain tracks – for instance, 'Runway Lights' or 'Super 8' – have a laid-back and live feel to them that makes it easy for the listener to envisage for themselves the power duo performing the same songs in concert. However, there is also one serious drawback to the album and that is a lack of stylistic variety among the tracks which makes the entire set cohesive but also quite repetitive. 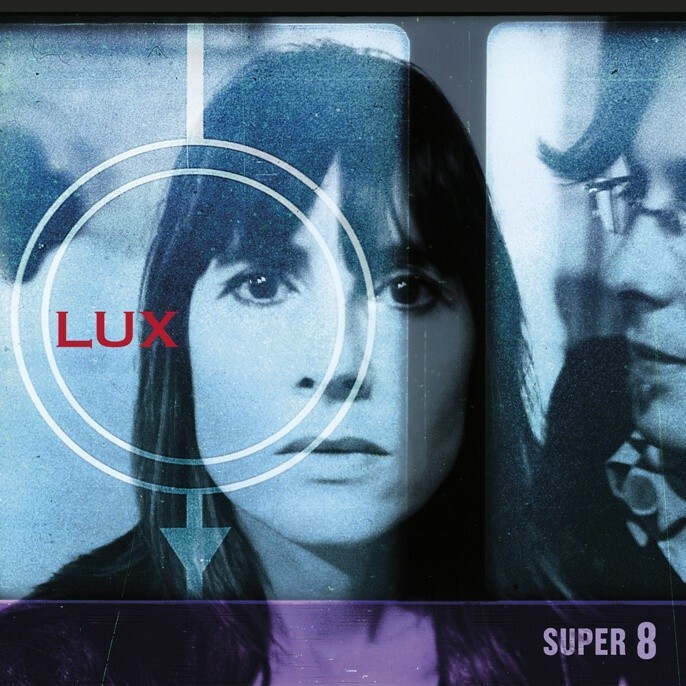 While 'Super 8' probably won't create enormous buzz in the Alternative Rock music scene, it still remains interesting due to its late nineties Alternative scene vibe paired with a distinctive Americana flavour. It's also a reminder for us listeners that good music doesn't always have to be flashy and spectacular. Sometimes this type of back-to-basics approach works better than the excessive virtuosity route, especially when it comes to emotionally-laden intimate music. Therefore, if you value feeling and authenticity above elaborate song structures and instrumental panache, LUX may be an act you should keep on your radar from now on.